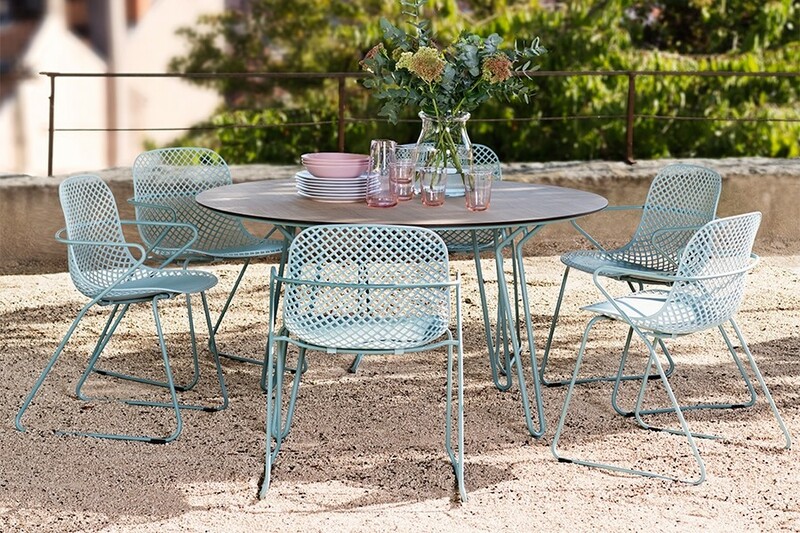 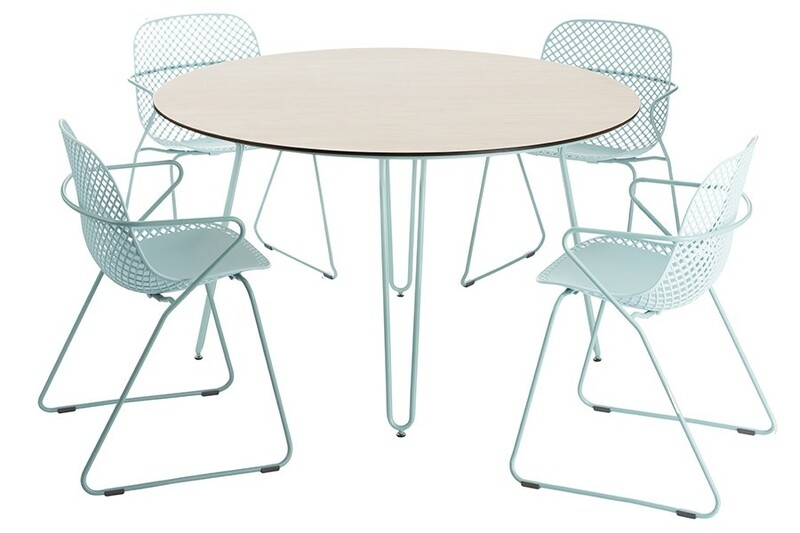 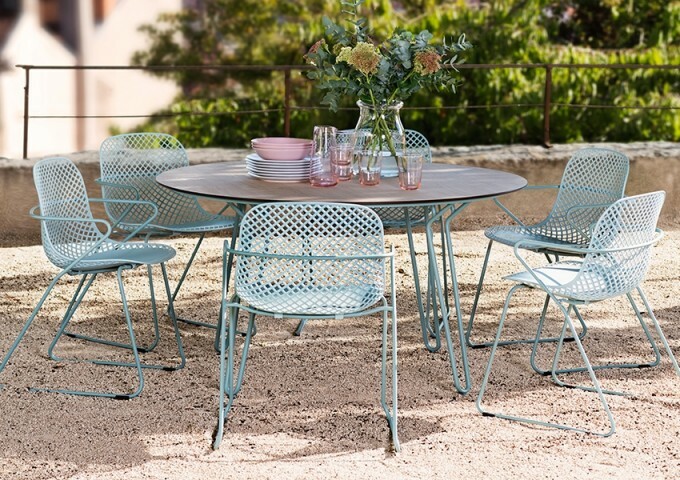 Exclusive to Bridgman with a versatile colour scheme, this 130cm Remy Round Dining Table in blue/natural will make the ideal setting for relaxed outdoor dining occasions. 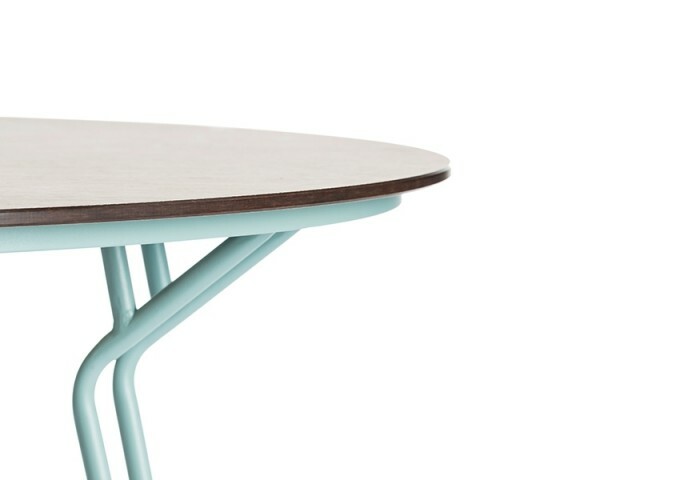 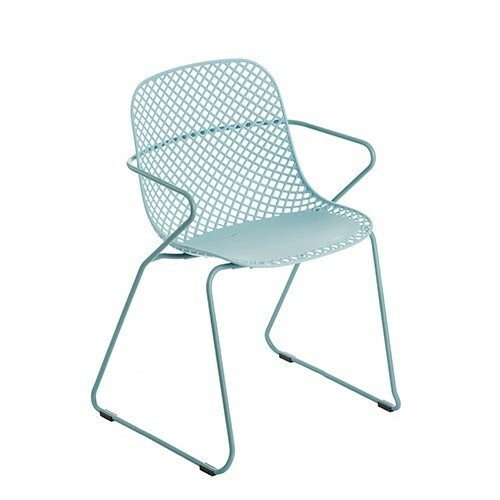 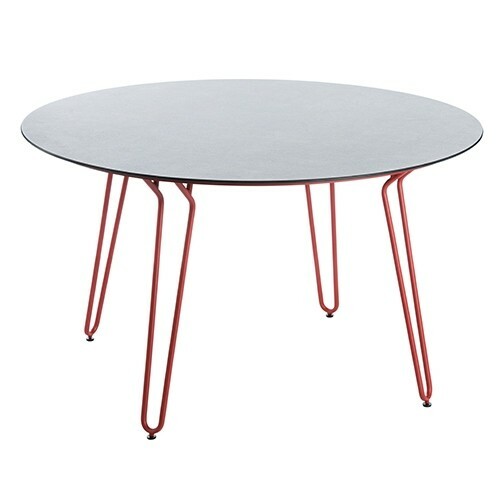 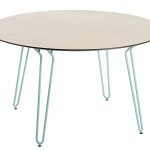 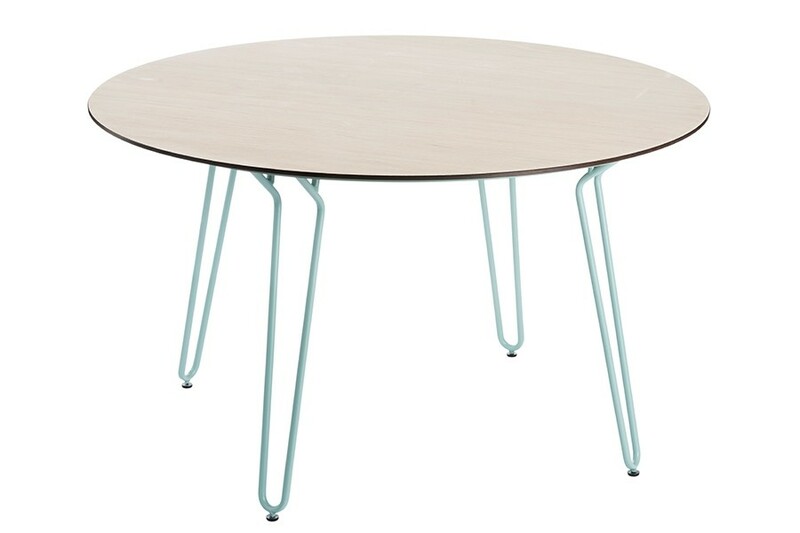 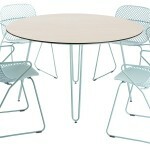 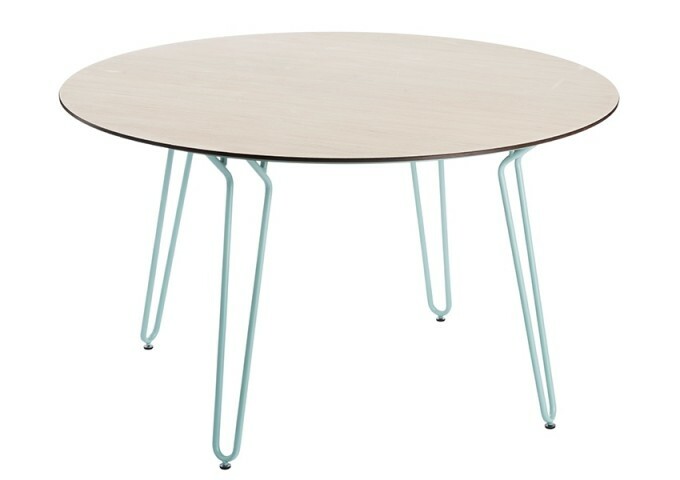 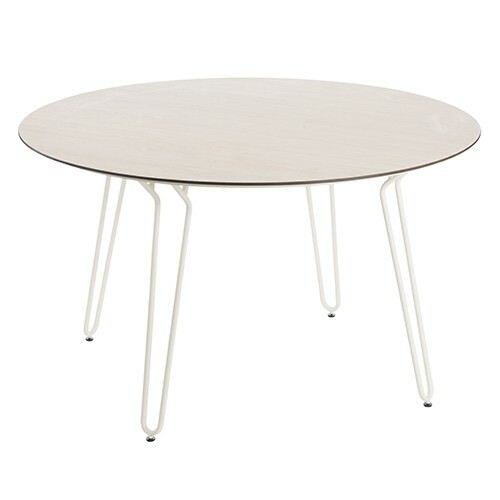 Due to its lightweight, contemporary feel, this table is perfect for smaller areas in which space is a premium. 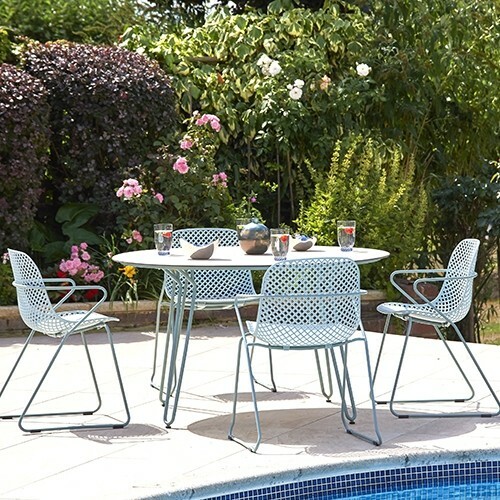 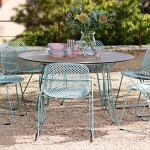 And, due to the high-pressure laminate (HPL) scratch-resistant top and durable galvanised steel frame, you can leave this table outside all year round without risk of weather damage. 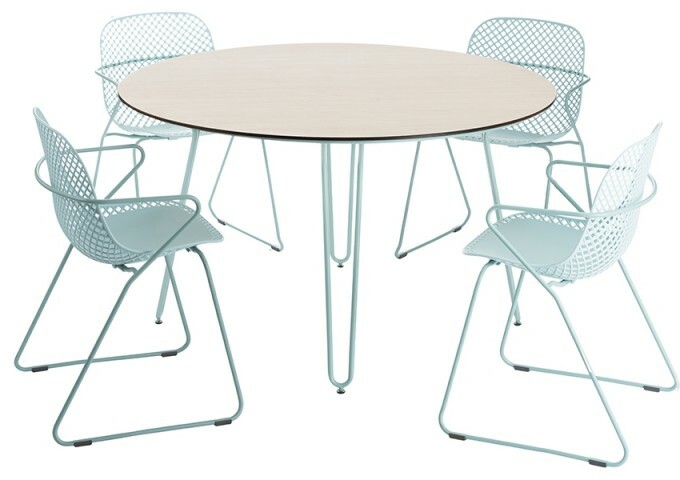 Resistant to corrosion and requiring virtually no maintenance to remain in premium condition, this 130cm Remy Round Dining Table seamlessly complements the rest of the Grosfillex Remy range – especially a set of blue Remy Stacking Armchairs to complete the look.